Who would have thought chick peas could double as a dessert snack!? 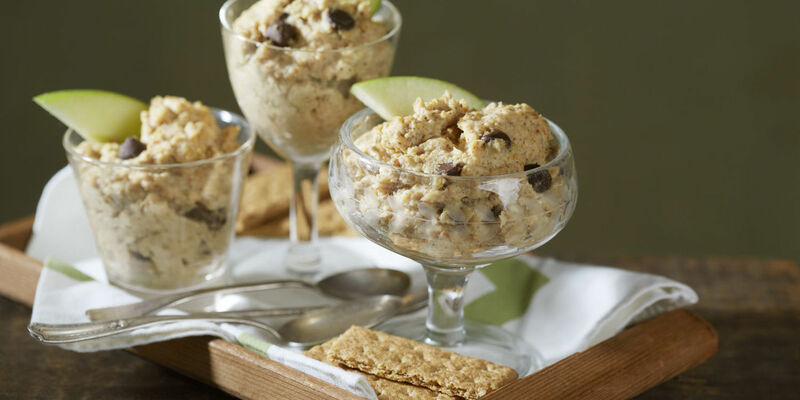 Check out this tasty twist to create a cookie dough using hummus as the base! Drain and rinse the chickpeas. Use a blender to combine chickpeas, almond milk, stevia and peanut butter. Rinse and dry the apple before chopping it into wedges. Serve with apple wedges and graham crackers. Enjoy!